I had this app for a couple of months and never ever ever got one survey. This app was great back two years ago when I had my Samsung Galaxy s7 edge. Since I would get a survey almost every other day but ever since I changed to apple and got my iPhone X now Xs Max I see a survey maybe once every other month and it’s honestly annoying it’s made me let go of multiple apps from google just cause of the “discrimination” of not being able to do the same or keep the same constant feel or rewarding feeling for the app even being a very involved with the Google Maps community. 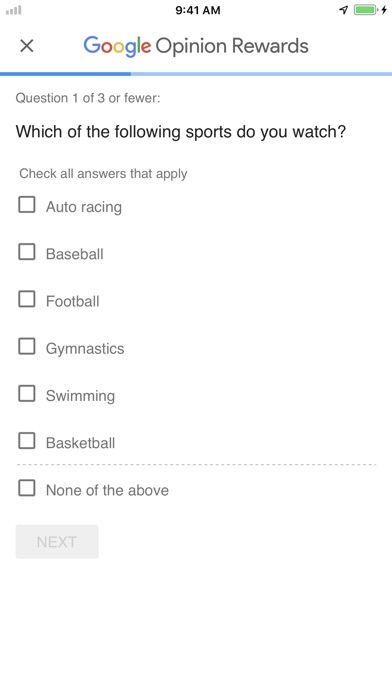 There are hardly any surveys! I was recommended to this app but I have yet to get a survey after two weeks. It’s been two weeks and I still haven’t got a survey.I waited patiently but it still didn’t give me a survey. 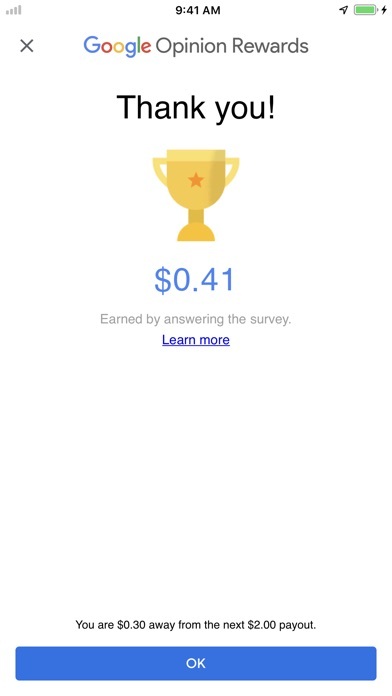 You get roughly 2 surveys on the first day using it, and get around 40 cents. However, you don’t get anymore for at least a few weeks, and you can’t cash out until you’ve reached $2... so yeah, not worth it.